Sending Marines to support the mission on the U.S.-Mexico border did not hurt service readiness, but actually increased it for some units, the commandant of the Marine Corps said Tuesday. Gen. Robert Neller was questioned Tuesday by members of the Senate Armed Services Committee during a Navy budget hearing about impacts to service readiness because Marines were deployed to help support security along the southern border. A leaked internal memo that Neller wrote in March to Navy Secretary Richard Spencer raised concerns about funding shortfalls in fiscal year 2019 due to unplanned and unbudgeted tasks including the border mission and damage from Hurricane Florence. The border mission to date has cost the Marine Corps about $6.2 million, he said. Sen. Elizabeth Warren, D-Mass., asked whether any exercises had been canceled or if units missed scheduled training because they were sent to the border. The Marines commandant said he did not know of any exercises that had been canceled. 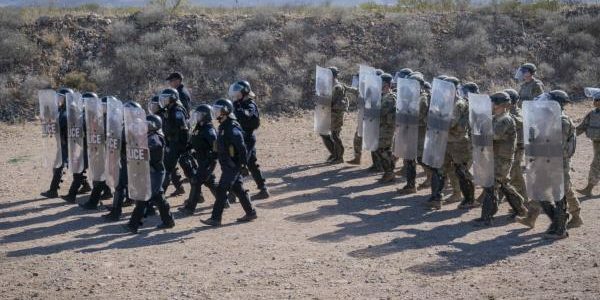 However, Neller did say fewer Marines did participate in one exercise and a small number of Marines who were scheduled to participate in exercises were sent to the border mission instead. If the Marine Corps did not get the additional funding that the service needed to pay for eight unfunded requirements, including the border mission, “then we would have to look at other sources for money, which could potentially include other exercises which would eventually affect the readiness of the force,” he said about the memo’s purpose. Warren asked what the benefits and sacrifices were for the border deployment. Neller responded it depended on the unit. “Some of the units have gone down there and they’ve done tasks that are more in line with their core mission, like engineer units or [military police] units. Aviation units that were assigned to that early on have actually improved their readiness because they were able to fly certain profiles,” he said. Neller said one unit is conducting a mission for 60 days that is “not part of their core competency,” and though they can handle it, it would affect their readiness. 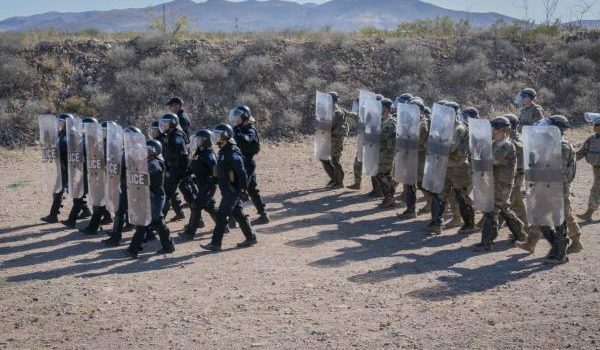 Spencer agreed with the commandant that the deployment benefited some units because they could do their job while at the border. The bigger issue for the Marines at the time the memo was written, he said, was the cost from hurricane damage. “Five hundred men for a month at the southern border is $1.25 million. In my mind, is that affecting my readiness stress? No, it’s not,” Spencer said. Neller said the damage caused by hurricanes Florence and Michael to the Marine Corps has cost about $3.7 billion. He thanked lawmakers and Defense Department leadership for the $400 million in reprogrammed funds to help Camp Lejeune in North Carolina deal with urgent needs due to the storm damage.